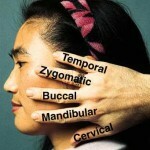 Facial nerve tests are useful aids in determining prognosis in patients with facial nerve paralysis. In treating patients with facial nerve disorders, one must be familiar with facial nerve anatomy, pathophysiology, and treatment options. 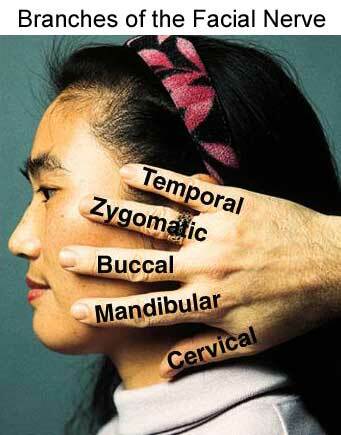 History and physical examination are the most important components of diagnosis in facial nerve disorders. Action potentials travel along myelinated motor neurons at a speed of 120 meters/second. The potential reaches the presynaptic terminal at the motor end plate and acetylcholine is released. Acetylcholine binds to nicotinic receptor on motor end plate and this initiates depolarization of the muscle. Sunderland classified the extent of injury to peripheral nerves. Level I injury is also called neuropraxia. This is a temporary conduction block and is 100% reversible. Examples include a limb “falling asleep” and use of local anesthetic. Level II injury is called axonotmesis. This involves injury to the axon but the nerve sheath of the axon (endoneurium) is intact. Level III injury involves injury to the endoneurium. Level IV injury involves injury to the perineurium. Level V injury involves injury to the epineurium (nerve transaction). Levels III-V may be referred to as neurotmesis. In these injuries the axons may regenerate but there will be some level of synkinesis. Distal to a site of injury axons degenerate in a process called Wallerian degeneration. Axons regrow at a rate of about 1 mm per day. Axons may be intact distal to an injury and therefore may be excitable if given a stimulus. Facial nerve tests are used to estimate the severity of an injury to a nerve, which is correlated with the chance of clinical recovery of nerve function. Facial nerve tests most commonly used today include electroneurography (ENOG), electromyography (EMG), the nerve excitability test (NET), and the maximum stimulation test (MST). Of these, ENOG is perhaps the most useful. A stimulating electrode is placed proximally over the nerve trunk and a second electrode is placed distally over muscle. Current is applied in the first electrode and response is detected in the second electrode. The response is measured bilaterally and the healthy side is compared to the weak side. The magnitude of the response on the weak side is calculated as a percentage of the response on the healthy side. The advantage of this test is that it is an objective measure of the amount of intact axons relative to the healthy side. Degeneration greater than 90% is correlated with a poor prognosis. Multiple studies have documented the utility of ENOG. Gantz, et al, prospectively compared middle cranial fossa facial nerve decompression with observation in a multi-institutional trial. Patients with Bell’s palsy who had complete clinical weakness (House-Brackmann grade VI) were enrolled in the study. ENOG was used to determine prognosis pre-operatively. Patients with greater than 90% degeneration according to ENOG results were offered surgical decompression or observation. The surgical group achieved House-Brackmann grade 1-2 in 89% of cases compared to 42% of cases in the non-surgical group. Decompression performed after 14 days showed no difference compared to the non-surgical group (1). This study illustrates the utility of ENOG in treatment of Bell’s palsy. Electromyography is often used as an adjunct to ENOG. A lead is placed in the muscle of interest and the patient voluntarily contracts the muscle. The presence of voluntary action potentials correlates with a good prognosis. Thus, if voluntary action potentials are present then prognosis is good regardless of the ENOG results. In this way, EMG can be used to identify false positive ENOG results. EMG can also detect fibrillation potentials indicating that the muscle is in the process of denervation. Fibrillation potentials correlate with a poor prognosis. For example, Sittel, et al, studied patients with Bell’s palsy with complete clinical paralysis by performing EMG 10-14 days after the onset of paralysis. 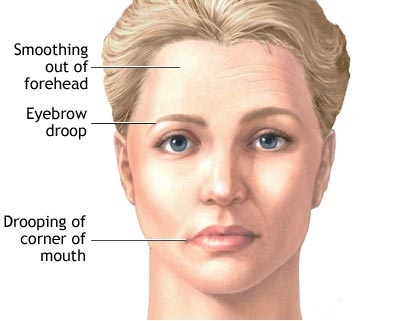 80.8% of the patients with fibrillation potentials went on to have incomplete facial nerve recovery six months after the onset of symptoms (2). Finally, polyphasic reinnervation potentials may be present before the onset of clinical recovery. The presence of these potentials correlates with a good prognosis. 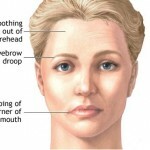 The NET has also been used to determine prognosis for facial nerve recovery. In this test, a stimulating electrode is placed over the main trunk of the facial nerve and a ground electrode is placed elsewhere on the body. Bursts of current are gradually increased in magnitude until a visible twitch is seen in the face. Once a threshold is obtained on the healthy side, the same is done for the diseased side. A threshold difference of greater than 3.5 mAmps correlates with a poor prognosis. This test has a higher inter-test variability and therefore repeat testing is recommended. This test is similar to the NET. However, instead of increasing the current to the threshold of stimulation, the current is increased until maximal facial twitching is noted on the healthy side. Then the same current is applied to the weak side. The response on the weak side is then graded as equal to the healthy side, a lesser response, or no response at all. The MST, like the NET, is a more subjective test than ENOG or EMG. This entry was posted in Oral Care and tagged axons, degeneration, electrode, electromyography, electroneurography, facial nerve, maximum stimulation test, nerve excitability test, nerve trunk, test on November 25, 2011 by chzechze.